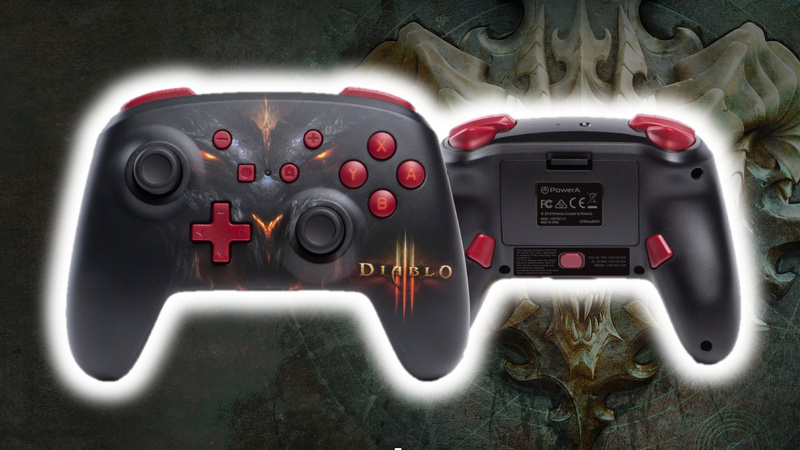 With Diablo III Eternal Collection just around the corner, it's almost time to get stuck into all of the lovely content the game has to offer. If you're wanting to play the game in style, though, you might just want to get yourself one of these Diablo III-themed controllers from accessory maker PowerA. 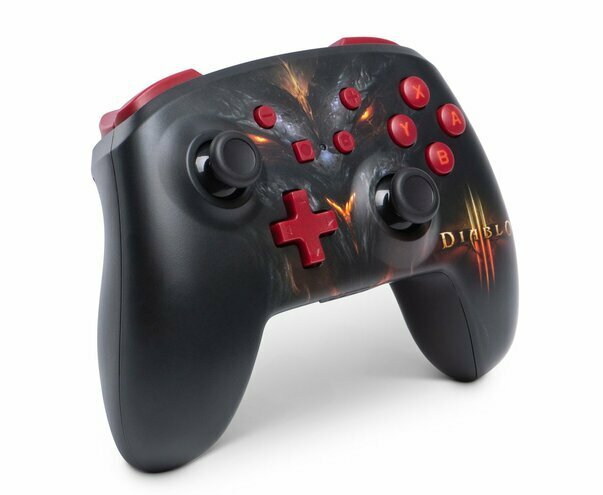 Of course, it was only recently that we saw an official Diablo III Nintendo Switch console be announced, complete with Diablo III artwork, a download code for the game, and a themed carrying case. We can't decide whether this new controller would be best as a cheaper alternative to the bundle, or as something to support the bundle when you want to play on the TV. Either way, we're sure it'd come in handy. 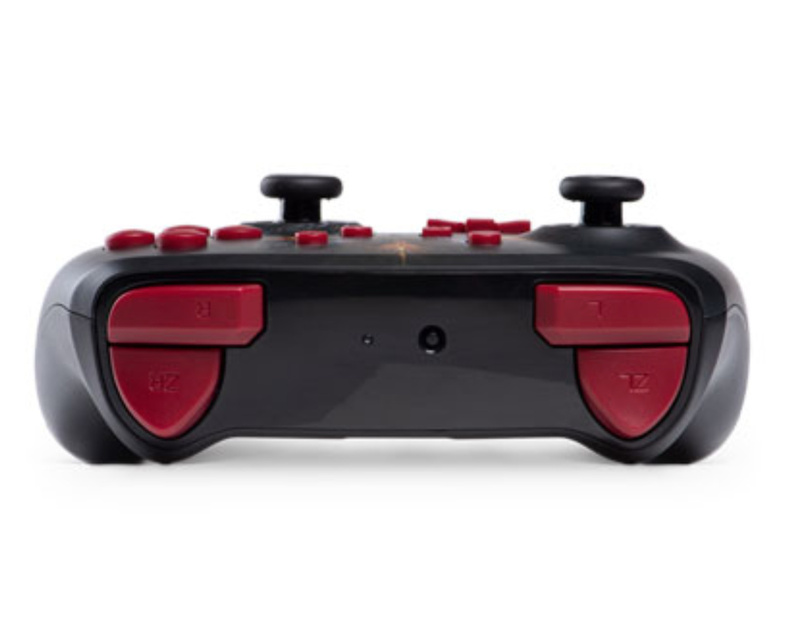 The controller is officially licensed and uses Bluetooth to connect to your Switch wirelessly. It features motion controls, comes with two AA batteries for up to 30 hours of use, and has PowerA's standard button mapping options, complete with the customisable buttons on the back of the controller. If you're interested in getting one, you can find it directly from the PowerA store for $49.99, or from GameStop, which has exclusive rights to the design amongst external retailers. At present, the controller doesn't appear to be available in Europe. Are you tempted to get one of these to play the game with when it launches on 2nd November? Let us know if you'll be grabbing one with a comment below. It seems like every AAA release needs to have it's own controller these days. 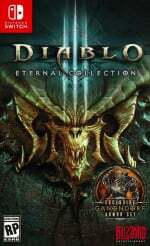 I personally think it would look much nicer without the Diablo logo. Then again, I'm a sucker for symmetry where possible. Another disgusting and shameless ad. How are the D-pads on these Power A controllers? Are they better than the Pro controller's mushy one? @BionicDodo That's the first thing I thought too. That logo where it is takes away from the look of it. Looks like they just plopped it anywhere they could fit it. 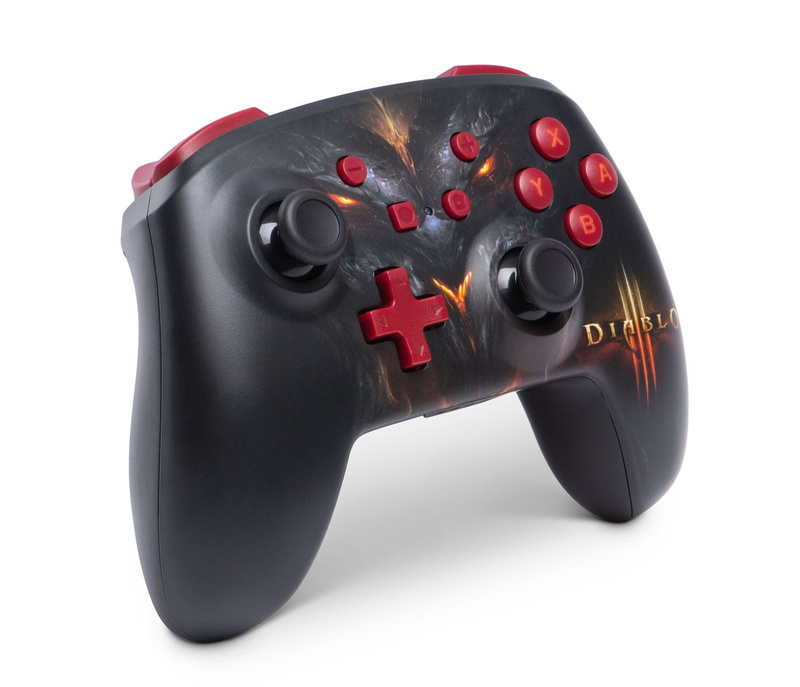 Honestly I'm just amazed at how Blizzard suddenly has a massive amount of merchandise and peripherals for a Nintendo console. Strange days we live in, indeed. i was like wow then seen the power A logo on the back and was like mehhhhhhhhhhhhhhhhh. @SwitchForce Don't knock removable batteries. You can always have a spare set charged up in case of emergency and your controller doesn't one day become useless due to a dead internal battery that you can't easily replace. It looks pretty nice to me, but I already have a ton of controllers. The 8 bit do Bluetooth thumb stick that lets you use any console joystick you want has basically solved all my switch controller problems. I do have a pro, but when I need another one I now use the Wii U joystick. 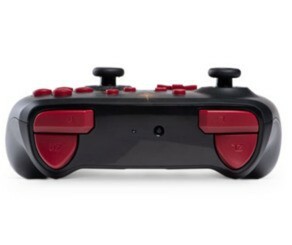 @BionicDodo I think they have a black one with red buttons on their website. I JUST WANNA KNOW if there d-pad is any better than the reg PRO. I have a lot of problems with that one still. Personally I like the look of this one and would be tempted, but even if it was released in Europe, I'd struggle to allow myself to spend that much on a 3rd party controller with no HD rumble. I like the AA batteries idea though, better than a bespoke battery. Love the design, love the extra buttons, love the fact that it uses AA batteries so I don't have to worry about trying to keep the damn thing charged (I have tons of rechargeable AA's at home). I just don't know much about Power A's quality. Will the artwork begin to wear off after a couple of months? Will the buttons and joysticks hold up to long-term use and abuse? That's my only concern. It looks okay, but I'd have done without the Diablo 3 logo as well. 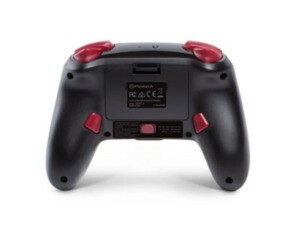 These things can't substitute official Pro controllers, and if I'm going third party, it'll be with 8bitdo. "directly from the PowerA store for $49.99"
You guys at NL are seriously overpaying your unpaid interns. Urgh. Double A? Even Nintendo has ditched them! Cool colour palette but no thanks. Too expensive. I like the extra programmable buttons. That's something we haven't seen for any wireless Switch controller yet. If they got rid of the logo and just had the red and black theme I'd buy it. It would look sick. 50 dollars for a wireless controller that lacks a rechargeable battery? HA, Not a chance! There's this supermarket I always go to in France that always has plenty of PowerA controllers for Switch. I'll look out for one next time I go, cause you never know, maybe it's already available in SOME parts of Europe. I wonder how good the motion controls are and no mention of amiibo support for use within other games which I think is necessary to get close to justify that 50.00 dollar price tag for this. I don't understand other comments from people who complain about the D-Pad on the Pro Switch controller, I love the Switch's Pro controller and its D-Pad I've never had a problem personally it is my all time favorite controller. @scumsprinkles I really like their d-pads. Much better than the Pro-Controller since you get accidental inputs from that.